Bixby Knolls Dental Group would like to remind patients that, or most people, the first sign of a dental problem is tooth pain. But not every tooth that needs a root canal is painful. Some problems can go undetected and inevitably become worse with neglect. 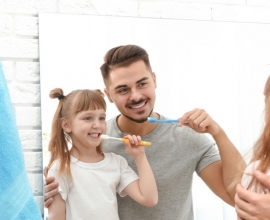 That is why it is important to protect your oral health with daily brushing and flossing, and regular dental check-ups. But education is also key to ensuring your teeth stay healthy. That is why we have written these Five Signs You Need a Root Canal. Constant tooth pain, regardless of stimulation, is not normal and definitely warrants an appointment with your dentist. Whether the pain is mild or severe, it is a sign that the nerve in the tooth could be infected. If you are experiencing pain in a tooth while biting or chewing, it could be a sign of a cracked tooth. A cracked tooth is susceptible to infection because food and bacteria in the mouth can get inside the tooth and cause severe decay. If you have a severe reaction to hot or cold in one tooth – beyond any regular mild sensitivity due to weak enamel – that persists long after the stimulus has been removed, you need to visit with your dentist. Increased and prolonged sensitivity can be a sign of an infected nerve. Swollen gums around the base of a tooth is a sign of inflammation potentially triggered by an infection in the tooth’s pulp. If there is fluid discharge from the gumline, the infection from the tooth’s pulp is leaking out into the surrounding tissue and must be addressed by a dentist immediately. Another symptom of infection is a change in the color of a tooth to grey or black. 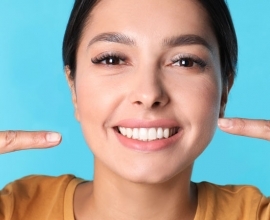 In addition to needing a root canal to clean out the infected pulp and damaged nerve, your dentist may also need to bleach the inside of the tooth to restore its normal color. 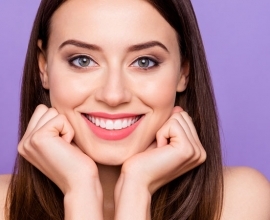 If you are experiencing one or more of these five signs, it is very important that you contact Bixby Knolls Dental Group for an appointment. Depending on the severity of your symptoms, the office may schedule you for an emergency dental appointment. 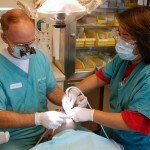 Prompt treatment is necessary to prevent losing the tooth or risking the health and integrity of surrounding structure.